← Trigger hacked-off: help from on high at hand? A fortnight back Malcolm ran for a bus. Memo: Don’t. There’ll be another along in a while (the same advice, in Malcolm’s distant youth, used to apply to chasing girls). Twang! And a stinging jerk told him he had pulled a serious muscle. That was obviously the physical or emotional shock that triggered an attack of shingles. Once Malcolm might have silently mocked those who use shingles as a pretext for being off work. After all, it’s just itchy spots, isn’t it? Now he knows better. It’s being dumped into one of the upper circles of Hell. The itching means sleeplessness. Along with the spots goes lassitude, general depression and bad-humour. Hence the hiatus in bloggery. Still, there was an upside. Being horizontal and awake means time to read. Simultaneous with that goes reluctance to leave the house, which means no book-buying, which doesn’t increase further the pile of unread books by the bed. 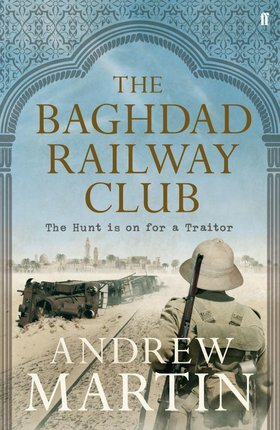 Andrew Martin’s latest Jim Stringer novel, the eighth, The Baghdad Railway Club. Apart from being a more-than-decent teccy, Martin has engineered an intriguing aside on a bit of the First World War, the Mespot Campaign, that doesn’t receive enough attention — at least not since David Lean and Robert Bolt put T.E.Lawrence and Peter O’Toole on the Big Screen. He even slides in a subtle sub-text, oil, which has persisted to the present day. The recital of place names — Basrah, Feluja, Tikrit — makes the point equally. Now this one has been hanging around for a while, often sampled, never previously worked through. 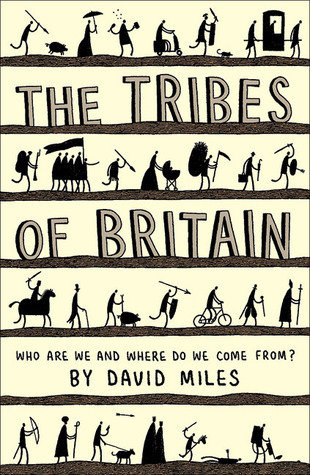 about 80 percent of Britons’ genes come from hunter-gatherers who came in immediately after the Ice Age. We treasure our local roots — Malcolm regards himself as Anglo-Irish by attitudes, with Icenian overtones, and a frontier mentality derived from the Danelaw-Mercian interface —but there’s a common interest persisting beneath the skin. 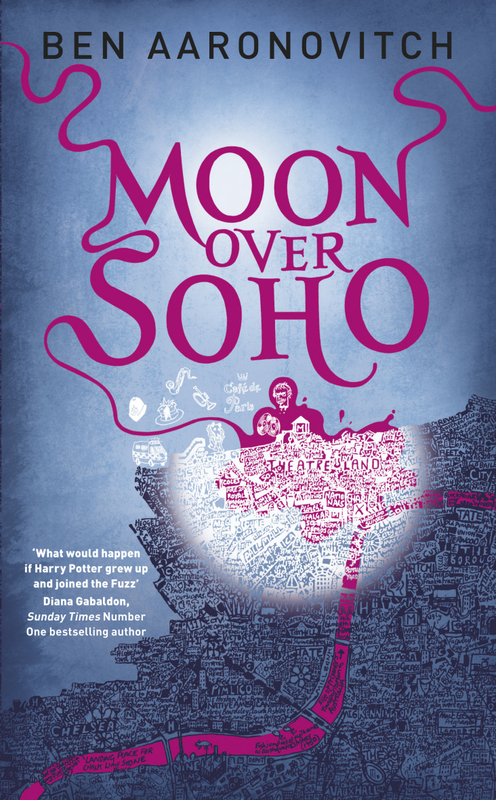 Ben Aaronovitch, Whispers Under Ground, the third (apparently of six) in the Rivers of London series. This was the work of a long day’s journey into an itchy night.To be honest, despite its considerable entertainment value, both the Pert Young Piece and Malcolm felt this one didn’t quite make the same grade as the previous two. ‘You know we’re Olympia and Chelsea,’ said Chelsea. Aaronovitch’s pithy zingers and knowledge of London Under is greatly satisfying. 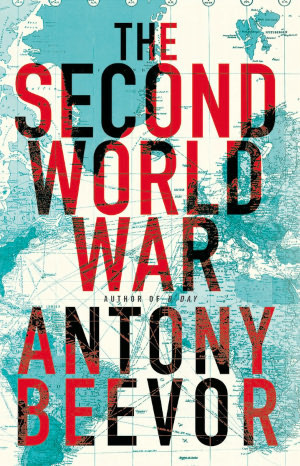 Antony Beevor: The Second World War. This book had a very simple and unheroic genesis. I always felt a bit of a fraud when consulted as a general expert on the Second World War because I was acutely conscious of large gaps in my knowledge, especially of unfamiliar aspects. 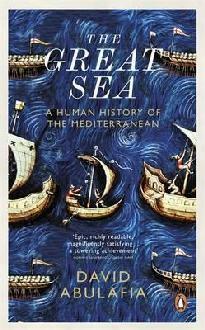 This book is partly an act of reparation, but above all it is an attempt to understand how the whole complex jigsaw fits together, with the direct and indirect effects of actions and decisions taking place in very different theatres of war. In June 1944, a young soldier surrendered to American paratroopers in the Allied invasion of Normandy. At first his captors thought that he was Japanese, but he was in fact Korean. His name was Yang Kyoungjong. In 1938, at the age of eighteen, Yang had been forcibly conscripted by the Japanese into their Kwantung Army in Manchuria. A year later, he was captured by the Red Army after the Battle of Khalkhin Gol and sent to a labour camp. The Soviet military authorities, at a moment of crisis in 1942, drafted him along with thousands of other prisoners into their forces. Then, early in 1943 he was taken prisoner by the German army at the Battle of Kharkov in Ukraine. In 1944, now in German uniform, he was sent to France to serve with an Ostbataillon supposedly boosting the strength of the Atlantic Wall at the base of the Cotentin Peninsula inland from Utah Beach. After time in a prison camp in Britain, he went to the United States where he said nothing of his past. He settled there and finally died in Illinois in 1992. The Pert Young Piece never tires of instructing Malcolm on the definition of a “historical fact”: this is adjudged to exist when it has been cited by a decent number (around half-a-dozen) reputable historians. The story of Yang Kyoungjong, complete with photograph, was new to Malcolm. He doesn’t recall it from any other history. It is a tale that will stick with him. A criticism of Beevor is that he gives undue attention to events in the Far East, particularly the struggles in China. So be it: that, too, is essential to Beevor’s personal agenda, noted above. Malcolm has this theory that there’s only one writer in each generation capable of explicating the mystique of trains. Once it was O.S.Nock. 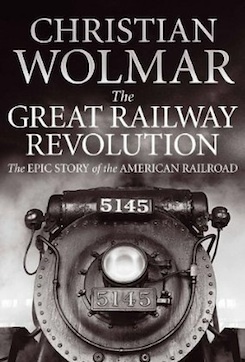 If only Johnny Cash can sing a song about a train, in the present generation Nock’s mantle has passed to Wolmar. There’s an awful lot wrong with the way the USA relates to its railroads — there are still 90,000 miles of them. All those vast distances never seem to arrive at where you, personally, wanted to go. Even when Amtrak deigns to connect to a place of interest — say, Savannah GA, or Memphis, or (above all) San Francisco — the depot is inconveniently out-of-town. Then you discover that the fares and timetables do not compare with other forms of transport. This book reminds us of the imagination, excesses and corruption of the railway plutocrats, along side the human cost of 2,000 workmen’s deaths in a single year. Here’s another which had been lurking around, picked at but not digested, for some time. In 1794 Saint-Florent in the Balagne was stormed by the British, and within a few weeks a Corsican parliament voted for union with Great Britain; the island was to be a self-governing community under the sovereign authority of King George III. The Corsicans were granted their own flag, carrying a Moor’s head alongside the royal arms, as well as a motto: Amici e non di ventura, ‘friends and not by chance’. The relationship between the British and the Corsicans turned sour, however: [Pasquale] Paoli became disillusioned, and revolutionary committees became increasingly active, as Napoleon infiltrated activists into his native island. During 1796 William Pitt’s government decided that the British position in Corsica was untenable; the Corsican union with Britain was dissolved, and British troops were withdrawn. Malcolm had been resisting this one, largely because its presentation appeared to be dressed up as a catch-penny rival to the excellent Matthew Shardlake series by C.J.Sansom. Malcolm had skimmed the first in the sequence, Heresy, and it didn’t make the juices flow, for some reason. Mistake: don’t judge a book by its cover. This one’s pretty good. Good enough, indeed, for Malcolm to have added the third Parris volume, Sacrilege, to the guilt-pile. The conceit is that Giodano Bruno, during the period of April 1583 to October 1585, when he was in London, was an agent for Sir Francis Walsingham. The basis for that is Walsingham certainly had someone with the cover-name Fagot inside the French embassy, and a decade back John Bossy suggested Bruno could be Fagot. 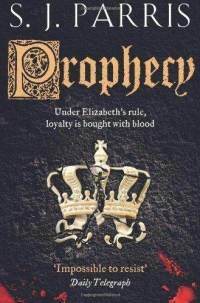 Prophecy, then, is an exploration of the seamier side of Elizabethan London, with a cast of ne’erdowells and aristos (same difference, of course) at the time of the Throckmorton Plot. Whether Malcolm was seduced, in part, by his alter-ego’s family tree having Throckmorton connections is another matter. Anyway, if there’s an itch, scratch it. Unless it’s really shingles, when it does more harm than any good.